This week marks the first week of Spring after a cold and dark New England winter. The first hint of warmer weather brings with it thoughts of baseball season, cookouts, and outdoor sports and games. Spring also marks the time when potential sellers get serious about putting their home on the market. Last year, we shared security tips for the other side of this dynamic with our 7 Tips to Increase Security for New Homeowners. Of course, first-time home buyers need to follow some security measures they may have never worried about before. 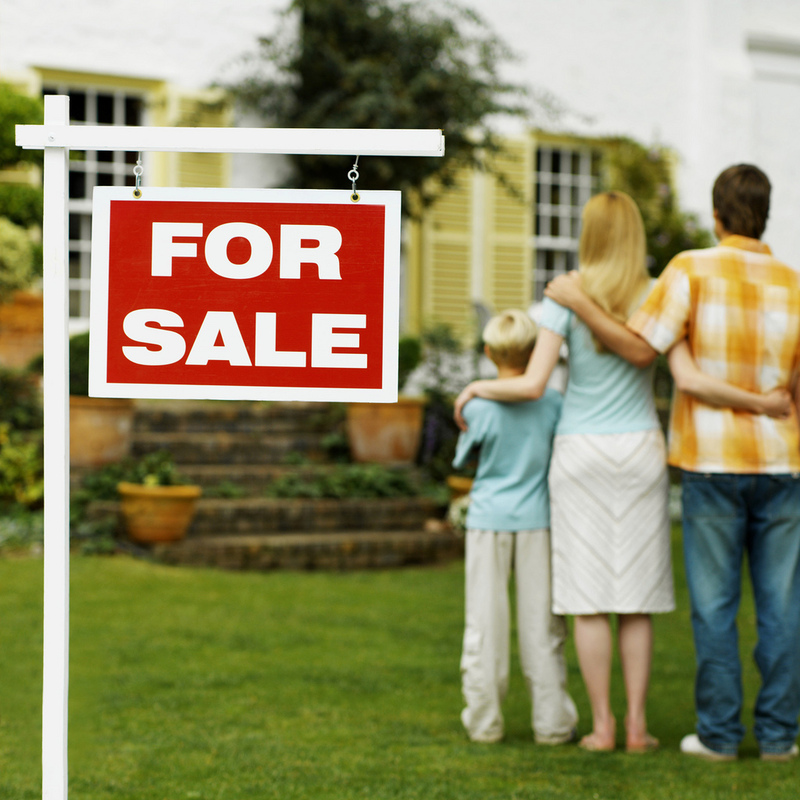 However, selling a home brings a very unique set of security risks that all sellers should proactively address. In this post, we share some of our most valuable security tips for those putting their homes on the market. We will address creating security even while allowing strangers into your home during showings. Additionally, we will discuss remaining conscious of who you show your home to, and when. Allowing realtors to display your home often leads to potential breaches to your alarm system. We’ll address maintaining your security system’s effectiveness by minimizing this danger. Finally, we’ll discuss adding new equipment to keep an eye on your home. Let’s begin with some basic security tips to make burglarizing your home less likely. 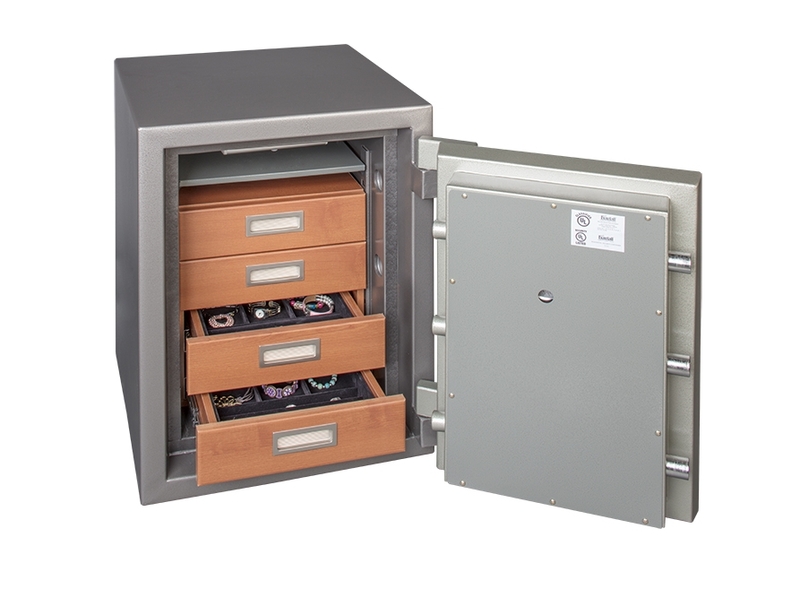 Many homeowners use a safe, such as this one by Gardall, to keep your valuables out of sight during home showings. Remember that showing your home allows strangers access to areas of your house usually considered off-limits. Many families “hide” their jewelry in bedrooms to keep it out of sight and out of mind. 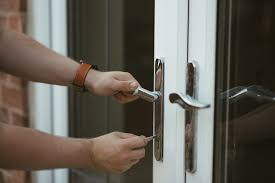 Of course, this provides no security against potential burglars using an open house or viewing appointment to scope out potential victims and gain access to these areas of the home. Stories such as this one from the Los Angeles Daily News prove that thieves do use this tactic. Even non-professional burglars occasionally pocket expensive items when the opportunity presents itself. Taking valuable jewelry, coins, antiques, or electronics off of shelves and dressers can help reduce the temptation for a visitor to take note of them. Additionally, you should attempt to both keep valuables out of sight and protect them in the case of a burglary. Our post on Avoiding Common Security Mistakes discussed using a safe to accomplish these goals. Putting your valuables in a hidden safe will keep them off the mind of both full-time burglars and opportunistic snatchers during home showings. Additionally, installing a safe properly (including bolting it to your floor) protects your valuables even someone does find your safe. Following this security tip lessens the chances of an attempted burglary by making your home a less attractive target. It also protects your most valued possessions if a burglary does occur. Now let’s look at a tip that can add security and help you determine if one of your visitors plans on coming back uninvited. Checking on your doors and windows after showings can help ensure that no viewers have set themselves up for a return trip to your home. Whether done on purpose or as the result of an accident, sometimes realtors and viewers do not leave your house exactly as they found it. Occasionally, viewers of a home will attempt to make things easier for a future break-in. Discretely unlocking a door or window can allow them easy access when they come back at a later time. If you have showings scheduled in your absence, ask your realtor to provide this check-up for you before leaving. Group showings and open houses make it especially easy for individuals to set a future burglary in motion. This makes verifying your door and window security after viewers leave your home one of our simplest but most important security tips. Let’s look at another tip that adds security while selling your home. You can probably understand why someone in the market for a home would see a “For Sale” sign and knock on the door. However, we do not recommend allowing these surprise viewings. Out post on Stopping Burglars in Disguise pointed out that most burglars approach a home’s front door before attempting a break-in. A “For Sale” sign in the front yard gives them an easy excuse to do so. In their minds, the worst-case scenario still provides them a guided tour of the home to scout things out. While some of these people may genuinely want to view your home, they can always set up an appointment with your realtor. If anybody that wishes to view your home raises your suspicions, we recommend that you contact local authorities. The extra work necessary to set up an appointment and potential go through your realtor’s screening will discourage many criminals. Additionally, waiting for a scheduled showing will allow you to prepare your home for the showing and hide any valuables, as we’ve already recommended. Now let’s look at a security tip to keep clever criminals from bypassing your security system to break in. Cellular dialer alerts, such as this one from Alarm.com, allow you to track security system use even while away from home. Obviously, homeowners with burglar alarms experience more security while selling their homes than homeowners without an alarm. However, alarm security occasionally gets compromised during the selling process. In our 5 Security System Use Tips, we discussed giving out different codes to different alarm users. The importance of following this tip gets magnified after putting your house on the market. You will likely need to provide access to your realtor, as well as any contractors completing renovations in advance of your sale. Make sure to create unique codes for each of these individuals, rather than giving them your system master code. As different workers complete their jobs, delete their codes from your system. This helps keep these folks from paying you an unwanted visit down the road. Additionally, creating ways to track alarm system use can in turn create extra security. Consider monitoring your alarm through an interactive cellular dialer, such as our powered by Alarm.com. Doing so will allow you to track security system use in real time. 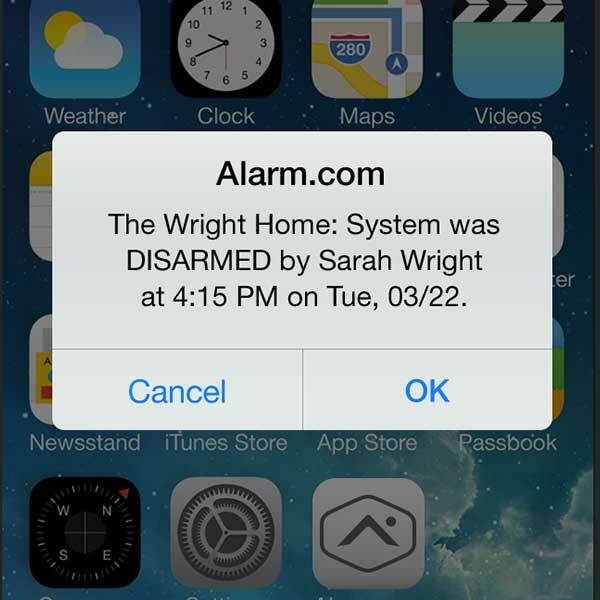 If a contractor or realtor disarms your alarm, you will receive an immediate alert. Interactive cellular monitoring also gives you remote control over your security system. This allows you to let people into your home on a one-time basis without providing an alarm code. These convenience and security additions put using multiple alarm codes and installing cellular monitoring amongst our top security tips for home sellers. Installing cameras to protect your home can add security in a couple different ways. For starters, cameras will create a record of anything that goes on in or around your home. If something goes missing during the course of showing your home through appointments or open houses, you will now have the ability to see exactly what happened. Additionally, potential burglars scoping out your home during these showings will spot your cameras and think twice before coming back. You may feel wary about spending money on surveillance given your impending move. However, as we discussed in our DIY Camera Systems vs. Professional Surveillance Cameras, professionally installed cameras increase the value of your home. We also discussed the cheaper DIY options that you may prefer if you still shy away from taking this route. We hope that these security tips have helped provided some useful information if you plan on selling your home. Perhaps you may find your home on the market soon and want to ramp up your security in advance. Or maybe reading this material has simply shown some areas where you could beef up your home security. Either way, we encourage you to contact us with any questions you may have. We provide free site surveys for homeowners. While on site, we can address any questions and make suggestions of our own to address potential security shortfalls. Together, we can create a security plan to keep you and your family as safe as possible. Feature Photo Credit: Mark Moz on Flickr. Used under Creative Commons CC BY 2.0 License.